When working on Romans 7, I struggled to grasp how Paul was conceptualising ‘sin’. I eventually settled on the position that he viewed ‘sin’ as more than wrongdoing and that he was not only personifying an abstract idea. Rather, Paul had in mind something more sinister, more powerful. I adopted the language of ‘quasi-personal being’, which was a compromise but at least indicated that more was going on. 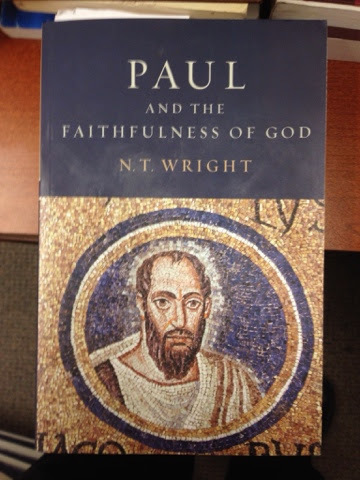 How best to understand Paul’s statements, though, has remained a problem for me. Thus, when I saw Robert Moses’ book Practices of Power: Revisiting the Principalities and Powers in the Pauline Letters (Fortress, 2014), I was naturally drawn to it. He highlights a variety of problems with these approaches, but more significant is his contention that the missing element in these discussions is Paul’s account of how the community acts with regard to the powers. 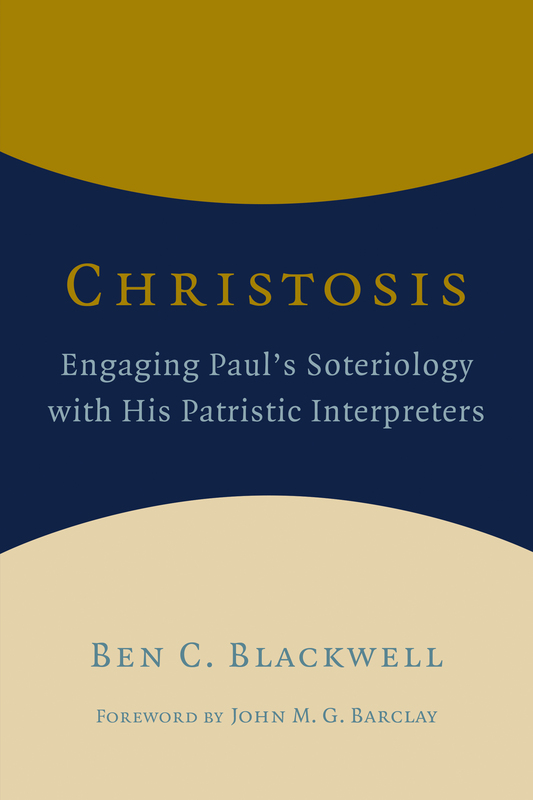 He writes, ‘Whatever we may consider to be Paul’s theology of the powers, his understanding is embodied and social, disclosed by practices he performed or advocated for the early believers’ (p.39). Moses’ proceeds to discuss key sections of Romans, 1& 2 Corinthians, Galatians and Colossians. He highlights practices that not only remove humans from the control of the powers (such as baptism in Romans), but also ones that place humans under their control (such as idolatry in 1 Cor 8-10 and Galatians). The discussion is exegetically sensitive, and he often highlights how Paul’s arguments are influenced by the Old Testament. He offers several interesting and new arguments in support of standard views as well as his own solutions to longstanding problems. To highlight one point where I think more could be said, I would like more discussion of exactly how the practices guard or expose humans to the powers. That is, given the exegetical work, some theological reflection is now needed. For example, Moses rightly identifies the crucial role of baptism. The discussion could be extended by engaging with the theologians on what is happening in baptism. This isn’t a weakness in Moses’ study; rather, it is the opportunity for someone to develop his insights into the practices further. The book concludes by ‘applying’ Paul’s language about the practices of power to the African context. Unlike modern Western (scholarly) society, the African religions have a robust view of ‘powers’ and have devised a variety of practices to counteract them. The chapter is a fascinating case-study of how to apply Pauline theology to the real world. The chapter is also a strong critique of Western scholarship which discounts or re-interprets Paul’s powers language based on myopic views of truth and reality. However Moses intended the chapter to function, it serves as a call for scholars to see beyond our own culture and let others give us a wider view. 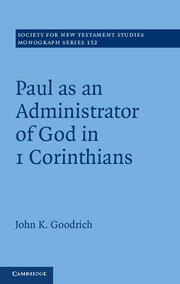 Overall, I think this book has a lot to contribute to the discussion of Paul’s view of the powers. It isn’t the last word, as Moses himself acknowledges, but I think he opens a new door that can help us in the task of understanding Paul’s theology and applying it to our own contexts. If you have any money left over after SBL or are looking for a Christmas present, Moses’ Practices of Power would be worth considering. The successful candidate will have appropriate academic (PhD or terminal degree) and professional experience in a field related to one of the programs in the Department of Theology. The candidate will provide documentation of an excellent teaching record and evidence of scholarly interests and achievements. Candidates should have a strong research record. In addition, candidates may be considered for the role of Director of one of the graduate programs in the School of Christian Thought. We particularly are interested in deepening our faculty representation in Old Testament and/or Historical/Systematic Theology, though we are not limiting applications just to those areas. We will likely start an MDiv program in the fall of 2015. A distinctive aspect of the program is that it will be intentionally ministry focused, with internships throughout the program rather than just as an afterthought at the end of one’s coursework. If the candidate serves as the director of that program, s/he would coordinate the student interns and our relationship with partner churches. We have intentions to strengthen our academic offerings further, so the strong research record is important. Do send in your application or pass the word along to those whom you think may be interested and qualified. 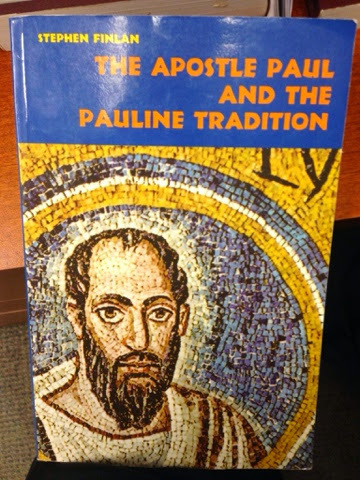 If you are a serious Pauline scholar, you apparently know what he looked like. Michael Bird, Chris Tilling, Nijay Gupta, Ben Blackwell, Nathan Eubank–take note. If you decide on using a different picture of the Apostle on your future books on Paul, be forewarned that you will risk being marginalized. Go the safe route. Go with the majority opinion. Don’t question the emerging consensus on Paul’s appearance and opt for a more controversial position. You’ve been warned. Your academic credibility is on the line here. 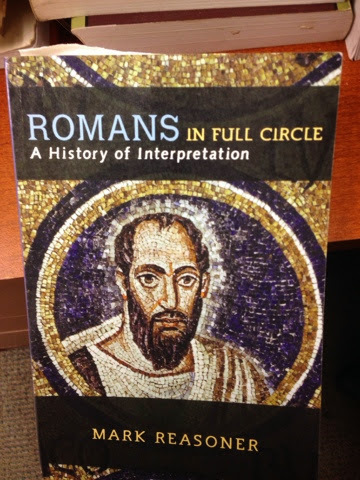 One of the exciting developments in recent scholarship is the series Baylor-Mohr Siebeck Studies in Early Christianity (BMSEC) edited by Wayne Coppins and Simon Gathercole. The initial volumes have already received much attention. Wayne has been involved in a range of translation work, and the idea to include some translations of Martin Hengel’s work in Earliest Christian History came from him. I’ve asked Wayne, Associate Professor of Religion at the University of Georgia, some questions about the series and translating German. 1. Before this series you produced several translations of German material. What led to your interest in German scholarship and particularly providing English translations? After completing my B.A. in Greek and Latin at the University of Georgia in 1998, my friend Jay Weldon invited me to join him in Germany where he was taking part in a UGA exchange program at the University of Erlangen-Nürnberg. Since I was already considering graduate studies in religion, this seemed like a great way to learn German and so I took him up on his offer and moved to Germany in January 1999. I initially planned on staying a year at the most, but at some point I discovered it was basically free to study in Germany (cf. Andy Bowden), which contributed to my decision to enroll at the University of Tübingen, while living at the Albrecht Bengel Haus. At this time, I first discovered something of the riches of German scholarship, especially through my classes with Friedrich Avemarie, Peter Stuhlmacher, Otfried Hofius, Bernd Janowski, Dorothea Wendebourg, and Eberhard Jüngel, but also through my friends and teachers at the Bengel Haus. And my appreciation for the German tradition continued to grow in the course of my M.A. an PhD studies in Durham and Cambridge. During my time in Tübingen, Friedrich Avemarie also gave me my first academic job working as a Wissenschaftliche Hilfskraft for the Tübingen-Durham Resurrection volume, and Peter Stuhlmacher asked me to translate one of his lectures for an upcoming trip to the States. These experiences gave me my first taste of editorial and translation work, and I found that I enjoyed it. This conviction likewise continued to deepen during and after my MA and PhD, when I had the opportunity to translate four essays by or about Martin Hengel. Against this background, I think my interest in translation has three main sources, namely a) my transforming experience with German scholars(hip) in Tübingen, b) the translation opportunities that I received in Tübingen and Cambridge, which helped me to discover how much I enjoyed this work, and c) my growing conviction that translation represented an excellent way for me to contribute to the advancement of my field. The short answer is that I wanted to create a framework in which my translation work could be part of a larger vision for facilitating increased dialogue between German-language and English-language scholarship. For a longer answer, see my interview with Michael Hölscher. 3. What do you hope this series will accomplish for scholarship? Since I spend much of my existence translating and editing volumes for the series, it will come as no surprise that I have great hopes for it! Let me outline these in three points. (a) First, I hope that each volume in the series will make important contributions to concrete areas of scholarship within the field. For example, I hope Jens Schröter’s book From Jesus to the New Testament will be taken up in discussions of historiography, historical Jesus, Pauline studies, Luke-Acts, the canon, and theology of the New Testament! (b) Second, beyond their individual contributions, I hope that each volume will serve as a window into the wider world of German scholarship and thereby enable English-speaking scholars to become more conversant with emphases and developments that characterize cutting-edge German scholarship. (c) Third, I hope—or at least dream—that the series will contribute to a resurgence of interest in German scholarship on early Christianity and that this will, in turn, motivate a new generation of scholars to commit themselves to learning German, so that they can interact even more fully with the German tradition in their research and teaching. 4. How do you choose which books to translate? The volumes so far have been recent books. Will the series also pick up some older material? The short answer to your first question is that we—i.e. Simon Gathercole and I in conversation with Carey Newman and Henning Ziebritzki—look for works that are of incredibly high quality and written by respected authors, without requiring that they fit a certain genre. For example, the first five volumes will include two collections of essays (Schröter and Frey), three monographs (Konradt, Markschies, and Hengel/Schwemer), and one commentary (Wolter). For a longer answer, see my interview with Clifford Kvidahl (Part I and Part II). It is not impossible that the series will include some older material, but I doubt it. The reason for this is because I think much interaction with German scholarship is too backward looking. When people think of German New Testament scholarship they often think only of the formative period of the discipline or of the contributions of Bultmann and his students. This is not, of course, all wrong, since it is absolutely essential that scholarship continue to grapple with the contributions and issues raised by such key figures and movements (cf. e.g. here and here ). At the same time, part of my vision for the series is to communicate with all due clarity that contemporary German scholarship on early Christianity is alive and well, so that the future of German scholarship also lies in the present and not merely or even primarily in the past. And for what it is worth, I also think that engaging contemporary German scholarship is often an especially fruitful way to discover the strengths and shortcomings of past German giants, or at least this has been the case with my interaction with Schröter and Markschies in relation to Bultmann and Harnack. 5. Will you tell us a little about what will be out at SBL in November 2014 and in the future in the series? Vol. 1 (2013): Jens Schröter, From Jesus to the New Testament (cf. my blog posts on this volume). Vol. 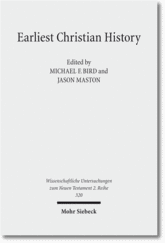 2 (2014): I am very excited about this year’s BMSEC volume, namely Matthias Konradt‘s book Israel, Kirche und die Völker im Matthäusevangelium / Israel, Church, and the Gentiles in the Gospel of Matthew, not least because of the ringing endorsements that the German and English versions have received from Ulrich Luz (‘die wichtigste Arbeit über das Matthäusevangelium der letzten zehn Jahren’, Evangelium Ecclesiasticum, p. 285) and Dale Allison (‘Israel, Church, and the Gentiles in the Gospel of Matthew is full of original observations and fresh arguments. Konradt has built a new foundation for all future work on the crucial topic of Israel and the Church in Matthew’s Gospel’, Endorsement for the English Edition). And in addition to the high quality of the argument, I think that Kathleen Ess has done an absolutely wonderful job with the translation (cf. my blog posts on this volume). And I am, of course, equally excited about my and S. Brian Pounds‘ translation of Jens Schröter’s book Jesus von Nazaret: Jude aus Galiläa – Retter der Welt / Jesus of Nazareth – Jew from Galilee, Savior of the World, which will also be at this year’s SBL, though not as part of the BMSEC series (cf. my blog posts on this volume). Vol. 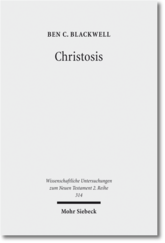 3 (2015): The next volume, which I have recently submitted to Baylor, is Christoph Markschies‘s book Kaiserzeitliche christliche Theologie und ihre Institutionen: Prolegomena zu einer Geschichte der antiken christlichen Theologie / Christian Theology and its Institutions in the Early Roman Empire (cf. my blog posts on this volume). 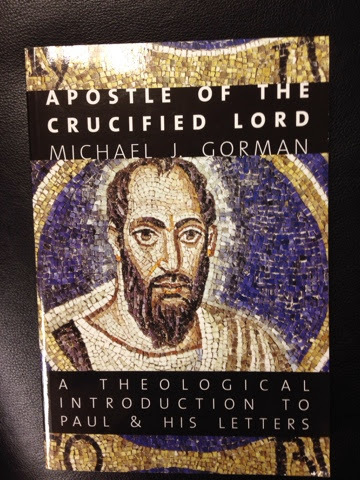 I think that this impressive volume will prove to be a major contribution to the study of early Christianity in the second and third centuries and especially to key issues such as (1) the value of an institution-oriented approach to studying early Christianity, (2) the need to attend to diverse institutional contexts, such as free teachers and Christian schools, the Montanist prophets and their circle, and the Christian worship service and its prayers, (3) the relationships between the New Testament canon and Christian institutions, and (4) the advantages of the complementary model of the identity and plurality of ancient Christianity as an alternative to competing models such as Walter Bauer’s Cultural Protestant model of ‘orthodoxy’ and ‘heresy’ and the Jesuit model of the ‘inculturation’ of Christianity. Vol. 4 (2016): Wolter, Michael. Das Lukasevangelium / The Gospel According to Luke. Translated by Wayne Coppins and Christoph Heilig. Baylor-Mohr Siebeck Studies in Early Christianity 4. Waco, Tex. : Baylor University Press (cf. my blog posts on this volume). Vol. 5 (2017): Frey, Jörg. Die Herrlichkeit des Gekreuzigten. Studien zu den Johanneischen Schriften I / The Glory of the Crucified One: Studies on the Johannine Writings I. Translated by Wayne Coppins. Baylor-Mohr Siebeck Studies in Early Christianity 5. Waco, Tex. : Baylor University Press (cf. my blog posts on this volume). Vol. 6 (2018): Hengel, Martin, and Anna Maria Schwemer. Jesus und das Judentum / Jesus and Judaism. Translated by S. Brian Pounds and Wayne Coppins. Baylor-Mohr Siebeck Studies in Early Christianity 6. Waco, Tex: Baylor University Press (cf. my blog posts on this volume). 6. For those thinking about PhD studies or at the early stages, what advice do you have for them about how to acquire a better understanding of German? Is there a particular author or two that you think is good to ‘cut one’s teeth on’? Hard to say. If at all possible, spend some time in Germany (or Switzerland etc.). But even if you can’t make it to a German speaking country, I suggest combining a “German-for-reading” approach with at least some “spoken German”. I’ve never used it, but David Lincicum has suggested that slowgerman.com is a helpful resource for the latter. For the former, I have heard that April Wilson’s German Quickly is a good place to start. After that you might want to move on to a German reader or work through my model sentences. But it could be just as effective to begin working through German texts that are directly related to your research interests. But if you take the latter approach, don’t start with the German text alone. Instead find a work that has been translated on your topic and work through the original German with reference to the English. In terms of tools, I have provided links to some of the better dictionaries on my resource tab, which also includes links to other sites for learning German. Finally, the serious student might consider participating in one of Thorsten Moritz’s courses. Good question. Chris Tilling has suggested that Udo Schnelle is a good author to start with due to his clear writing style, and this could be done with reference to Eugene Boring’s fine translations, e.g., Paulus/Paul or Theologie/Theology. Martin Hengel’s German is also fairly straightforward, though it is problematic that the English and German versions often differ greatly in length. But some of his essays might work well, for example the essays that I translated in Earliest Christian History. Jens Schröter’s German is more complex in Von Jesus zum Neuen Testament, but he has clearly attempted to write in a very accessible manner in Jesus von Nazaret, so I think it could work well to use this volume in conjunction with the English translation, Jesus of Nazareth (cf. here). 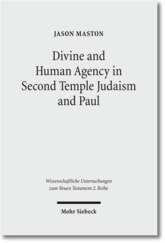 Finally, Peter Stuhlmacher could also be a good option, e.g., Der Brief an die Römer/Romans or Biblische Theologie des Neuen Testaments/Biblical Theology of the New Testament [Forthcoming; trans. Daniel Bailey]. 7. Aside from your translation work for this series, what else are you working on? Much of my recent research has carried forward past projects. Building on my previous publications on freedom, I wrote encyclopedia articles on freedom for the Encyclopedia of the Bible and its Reception and the Oxford Encyclopedia of the Bible and Ethics. More recently, building on my RBL review of Ernst Käsemann’s posthumously published essays, I submitted an article titled ‘Revolution and Violence in Ernst Käsemann’s Radically Lutheran Theology of Liberation’, which may or may not be accepted and published. My most recent teaching and research interests are squarely focused on the Synoptic Gospels, esp. Mark, but to date my only publication in this area is my 2012 Tyndale Bulletin article ‘Sitting on Two Asses? Second Thoughts on the Two-Animal Interpretation of Matthew 21:7’. If another book-length project emerges for me in the future, then I suspect it will be related to the Gospel of Mark. Many thanks to Wayne for answering these questions. Be sure to check out his immensely helpful blog German for Neutestamentler where he regularly works through a section from a German author explaining the grammar and reflecting on the historical and/or theological claims. Gundry’s questions are by no means new, and in recent scholarship there has been a renewed interest in the relationship between systematic theology and biblical studies. In this line the recent volume, Reconsidering the Relationship between Biblical and Systematic Theology in the New Testament, edited by Benjamin E. Reynolds, Brian Lugioyo and Kevin J. Vanhoozer, takes up Gundry’s specific questions in an attempt to show how the two disciplines relate. I’ve asked Ben to describe for us some of the issues in this book. 1) The contributors to the volume are New Testament scholars and Systematic Theologians. Can you describe for us some of the different approaches or assumptions that emerge from the juxtaposition of these groups and essays? The volume’s essays address a number of topics and do begin with a number of assumptions. The first five essays come from a New Testament studies perspective and the latter five come from a theological perspective. As you might expect, the NT scholars more often begin with the biblical text and move toward a discussion of theological implications. The theologians address theological issues with often less connection to the biblical text. Those realities only seem to fit the stereotypes that each discipline has of the other. In Kevin Vanhoozer’s introductory essay he challenges biblical scholars not to view their work as handing off a baton to theologians. He argues that the work that biblical and systematic theology do is similar in that they both address “theodramatic” judgments. Biblical theology is more sensitive to single authors and texts while systematic theology considers God’s role in the broader scheme of things. Vanhoozer’s challenge is important because the essays point out the difficulty of each discipline continuing in its own ruts. The assumptions of the authors indicate the extent to which we continue to work in these disciplines in discontinuity from the other. One of my favourite essays is Jennifer Powell McNutt’s examination of the use of James during the Reformation. She unearths some really interesting information about how James 5:16 was used quite extensively and about Luther’s use of James, even though he called the epistle a book of straw. 2) How does this volume as a whole answer Gundry’s questions about the relationship between the two disciplines? Surprise, surprise, the volume does not completely answer Gundry’s questions. I would say that most of our contributors think that biblical and systematic theology form a partnership of equals, but it is telling that two to three of the NT essays lean toward the baton view of biblical studies that Vanhoozer warns against (two of them explicitly so). What the volume does provide are ten essays that are aware of the tension between biblical and systematic theology and attempt to bridge the divide. They highlight the challenges we face after a long separation of the disciplines. 3) One of the difficulties I think many face when trying to cross discipline boundary lines is the amount of literature to read. How have you overcome this? Working across discipline boundaries does require a lot reading. My essay on “Eucharistic” language in John 6 was one of the most difficult essays I have ever written. There is so much secondary literature on John 6 before you even consider history of reception and Eucharistic theology. I wouldn’t say that I “overcame” the challenge. For example, a thorough paragraph on Thomas Cranmer’s view of John 6 would require days of reading. I read some, but I never would have finished the essay if I tried to become an expert on Cranmer or Calvin or John and Charles Wesley before I said anything about them. However, I learned quite a lot about John 6, especially its reception, its use in various debates, and about how theological presuppositions influence perspectives on biblical texts. 4) The volume is written in honour of Robert Gundry. How has he influenced your scholarship and your teaching? I took New Testament survey and first year Greek with Bob. He was extremely influential in the beginning stages of my interest in the academic study of the Bible, and he has continued to be as we have kept in touch over the years. I have always been impressed with Bob’s care for the biblical text and his willingness to stick with views his exegesis leads him to, even if they are not popular. Most evangelical NT scholars always connect him with the infamous ETS vote of over thirty years ago, but his position on certain aspects of Matthew are based on a close, redaction-critical reading of Matthew’s source material. I’m not sure anyone has actually refuted his readings of these sections. Bob’s concern for the church is apparent in a number of his writings, including The Church and the Tribulation and in some of his recent Books and Culture When you read through his body of literature, it is easy to see that he has remained consistent in his exegetical rigour and in his beliefs. That consistency, love of the text, and academic rigour have definitely been influential to me in my teaching and scholarship. 5) If someone was looking for a PhD thesis addressing the relationship between biblical and systematic theology, what would you suggest? I would say that there are plenty of opportunities. Obviously, there are only certain programs that will look kindly to such a PhD thesis that attempts to reconcile biblical and systematic theology. But considering the amount of literature that will need to be read and assessed, someone pursuing a project like this will need to have a narrowly focused passage or doctrinal issue that can provide an example for the interplay of biblical and systematic theology. 6) Now that you have finished this project, what can we be looking forward to next? I am currently co-editing a book on Jewish apocalyptic thought and the New Testament that is scheduled to be released with Fortress Press next year, and my own work continues to include the Gospel of John and Jewish apocalyptic literature. A book length project is in the works on that subject. I would like to thank Ben for answering these questions and be sure to check out his blog at Divinity United. The book is available now or you can get it from Mohr Siebeck at SBL. Mike Bird, Lecturer in Theology at Ridley Melbourne, is well known for his many books and blog Euangelion. In his latest volume, The Gospel of the Lord: How the Early Church Wrote the Story of Jesus, he explores the origins and development of the Gospels. Mike works through a range of the key issues, such as oral tradition, the synoptic problem and the Johannine Question, and presents many complicated issues with great clarity. (His discussion of the synoptic problem is one of the clearest accounts, whatever one makes of his conclusion.) He kindly has answered some questions about the book. 1. Your publications have spanned across the breath of New Testament and Systematic theology. What brought you back to the Gospels at this point and particularly to this topic? A number of things. First, it’s always good to go back and have a close read of the Gospels because the Gospels present to us the story of Jesus. So by virtue of their subject, Jesus, they should have a special place in our hearts. Second, I didn’t want to engage in a study of the literary, narrative, and theological texture of the Gospels just yet. I hope to return to that task in the coming years. But I felt the need to write a kind of critical preface towards understanding how the Gospels came to be. How did we get them, what are they, and where do they sit in the story of the early church. So GOTL covers all the preliminary stuff, hoping paying the way for a more concerted study of the actual content of the Gospels themselves. 2. Will you summarise for us what your main thesis (theses) are in this book? There is no singular thesis since I’m trying to answer the critical questions abou the origins of the Gospels. In a nutshell, I’d say: (1) The Gospels are historically reliable and are reasonable guides to Jesus; (2) The Gospels were probably transmitted in a complex web of oral and written traditions. (3) Social-memory is probably the best hermeneutical framework for understanding the origins of the Gospel traditions. (4) On the Synoptic Problem, I go for the three-source theory (Holtzmann-Gundry thesis) where Luke used Matthew-Mark-Q. On the Johannine Question, I opt for the semi-independence of John from the Synoptics (i.e., John has probably seen, heard, or read Mark, but doesn’t write with it front of him). (5) The Gospel genre is a variation of Greco-Roman biography married to OT narrative and Christian proclamation. (6) The fourfold Gospel was not a late invention nor one meant to stifle diversity, but bring us the clearest testimony to Jesus as he is understood in the rule of faith. 3. There have been several recent studies addressing the formation of the Gospels and the four-fold Gospel (e.g. Dunn, The Oral Gospel Tradition; Eve, Behind the Gospels; Rodriguez, Oral Tradition and the New Testament; Watson, Gospel Writing). What will readers find different in your study? I believe there are good reasons for supposing that the church was interested in what we might call a “historical Jesus” (though not necessarily “historical” as we might conceive it). I think we can no longer look for a pure oral tradition behind the Gospels since the Jesus tradition moved to and fro between oral and written forms in its pre-Gospel stages. It means that orality, book culture, and social memory theory are all needed to reconstruct what is behind the Gospels and how we got them. I take a bold perspective in advocating the Holtzmann-Gundry thesis. I think we can read non-canonical Jesus literature and other “Gospels” sympathetically even if they are not regarded as part of the church’s testimony to Jesus. 4. In your view what has led to this interest in the formation of the Gospels? It is a bit of a detective game when you think about it. The Synoptic Problem and Johannine Question beckon us with why these documents are partly similar and partly different. Who knew what when? Who used who first? It also raises the question of sources, reliability, and authority, which are natural questions for those who treat the Gospels as sources of either authority or even revelation. To put it broadly, what forces and factors shaped the Evangelists to write these Jesus books in these particular ways and what were they trying to achieve by doing that? These are all big questions and no consensus has really won the day. 5. Two areas that have received much attention lately are orality and memory which both are important throughout your whole project and discussed directly in chapter 3. Would you explain how you address these areas? Whoa, that would take a big lecture and while I utilize social memory, I do not profess to be one of its leading practitioners. I’m reliant on chaps like Anthony Le Donne, Rafael Rodriguez, and Chris Keith. The important thing is that social memory is not a “school” that describes how the Gospels evolved from orality into literature, but it provides a hermeneutical framework for how memory is both reliable and yet refracted or redacted in light of the situation of the remember(s). In many cases, it provides a way of breaking the impasse between different ways of conceiving the development of the Jesus tradition. 6. Your title ‘the Gospel of the Lord’ comes from two patristic authors (John Cassian and Cyprian). How have these early Christian authors and others shaped your understanding of the Gospels? I think the Gospels are fundamentally about drawing people to praise, revere, believe in, and worship, the one whom the Evangelists know to be “the Lord.” They are the books and stories that tell us who the Lord Jesus is, what he taught, how he lived, why he died, why he rose, who we should think he is, and how we should relate to him. 7. What areas in the study of the formation of the Gospels need addressed further? To put it differently, if someone was looking for a PhD thesis topic, what might you suggest to them? So many areas. The Gospel of Mark in the Second Century would be good. The Gospel titles in the various manuscripts. The making of early Gospel commentaries. Angels in the Gospels needs to be done (see esp. Matt 18:10). 8. Now that you have finished this project, what can we be looking forward to next? I’m currently working on a commentary on Romans for the SGBC series and an introduction to Christian doctrine via the Apostles’ Creed. Coming soon!! I would like to thank Mike for answering these questions. For more information about the book, check out this video interview by Mike. The book is available now or you can get it from Eerdmans at SBL.